Prayer to God is an ancient practice, which makes sense when we realize what prayer is—a petition for help, and praising God for who He is and what He has done. The root of prayer is an acknowledgement that God is our creator and helper. As our God and our ultimate source of help, He deserves our praise. 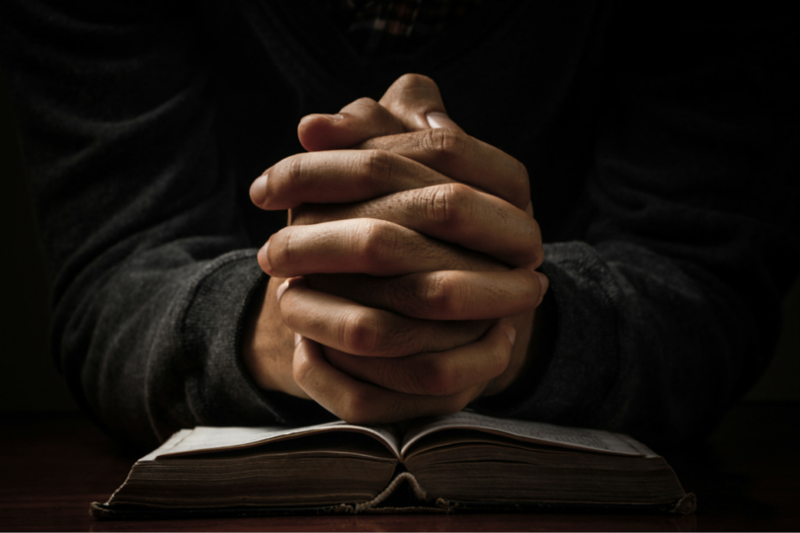 The Bible is full of all kinds of prayer, and that should set an example for us. We can try to manage life on our own, out of our own resources, but why would we do that when God is not only willing to help, He also wants to? What does a “good prayer” sound like? Moses knew that God looked on the heart and responded to honest, heartfelt prayers. Consider too how the first Christian martyr, Stephen, said a couple of short prayers in his dying hour: “Lord Jesus, receive my spirit” and “Lord, do not hold this sin against them” (Acts 7:59, 60 NIV84). Flowery language is nice, as are formal openings or closings, but they are not essential in our prayers. What is important is that we pray—and if it is from our heart, God will hear us. It is amazing the limitations that have been put on prayer by various groups. For example, some Christians teach that if a person does not have the formula, “in the name of Jesus Christ” somewhere in the prayer, God will not answer it. Yet there is not one prayer in the New Testament that closes with this phrase. The Bible has examples of people baptizing, healing, and casting out demons in the name of Jesus Christ, but there is no place that records a prayer that opens or closes with this phrase. While it is good to acknowledge the Lord Jesus and his authority when we pray, using the name of Jesus is not the determining factor in pleasing God or getting an answer to prayer. On the other hand, having the right heart is always essential when we pray. It is comforting and encouraging to Christians to know that God knows what we need before we ask Him, something that Jesus pointed out to his disciples: “your Father knows what you need before you ask him” (Matt. 6:8 NIV84). Sadly, instead of being an encouragement to pray, thinking that God knows what we need before we ask actually keeps some people from praying. There are Christians who think that if God knows what we need, then we do not need to ask Him—He will supply what we need if it is His will. But that totally misses the point of prayer. Our prayers do not inform God of things He didn’t already know. No one prays, “Dear God, I need a new job,” only to have God answer, “Thanks for telling me. I didn’t know that.” God knows what we need, but He respects our free will, and will generally not barge into our lives and change things unless we ask Him to. The clearest example of that is salvation. Everyone needs to be saved, but God does not save a person unless they ask to be saved and take Jesus Christ as their Lord and Savior (Rom. 10:9). Prayer gives God permission to act on our behalf. James made this clear in his epistle: “You do not have, because you do not ask God” (Jas. 4:2 NIV84). Notice that James did not say people did not have because they did not have needs. This shows us there is a clear connection between our asking and God answering. However, James also emphasized that if we ask with the wrong motives, we should not expect an answer from God. We cannot expect God to answer a prayer that is asked from a selfish heart. In the cartoon series “Calvin and Hobbes” by Bill Waterson, six-year-old Calvin prays fervently for snow. When no snow is forthcoming, he looks up to heaven and shouts, “Do you want me to be an atheist?” God does not want anyone to stop believing in Him, but He won’t be coerced or threatened into answering our prayers, especially if they are selfish or reckless. To get real results, we have to get our hearts in line with His heart. There are many reasons why prayers aren’t answered, and one of them is that people give up and stop praying for what they want. The book of Daniel gives us an important “behind the scenes” look at this. Daniel got a vision from God and prayed to know what it meant. He received no answer that day; or the next day; or the day after that. In fact, Daniel went into a mourning-like time when he did not take care of his body and did not eat the good food and wine he could afford, working hard to stay focused on praying to God for an answer (Dan. 10:2-3). Finally, an angel showed up with the answer to Daniel’s prayer and said he had been trying to get to Daniel for three weeks, but the “Prince of Persia,” a powerful demon, had prevented him (Dan. 10:4-14). 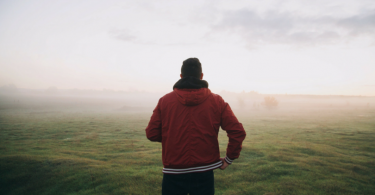 Had Daniel given up after a few days and said, “Oh well, I guess God doesn’t want to answer me,” it is likely that he would not have gotten an answer at all. The spiritual war is real, and that is one reason, though not the only reason, that if something is important to pray for, we should keep praying for it. There are Christians who teach that praying for something more than once shows a lack of faith, and that if we pray for something one time and really trust God, we will get our prayer answered if it is God’s will. That teaching sounds good, but it is actually not biblically correct. Jesus taught that we should pray over and over for things; he didn’t mean to use a formulated prayer and repeat it as if we could beat the answers out of God by saying something many times. But we should keep on praying, with each prayer being new and coming from the heart as an earnest request. Jesus taught two parables to illustrate this: the parable of the homeowner who had a surprise guest (Luke 11:5-10), and the parable of the persistent widow (Luke 18:1-8). Jesus concluded his parable in Luke 11 by saying, “So I say to you, keep asking, and it will be given to you. Keep searching, and you will find. Keep knocking, and the door will be opened to you” (Luke 11:9 HCSB). If Jesus said to keep asking in order to get what we need, then that’s what we must do. One of the reasons people do not pray, and feel inadequate while praying, is that they do not pray regularly, especially in front of others. This situation is exacerbated in most churches because a Christian can attend week after week and never get a chance to participate beyond perhaps singing a few songs. But no football player becomes competent simply by watching football, nor does an artist gain skill just by watching people paint. The only way to become competent is to actively participate, and Christians have to pray in order to become comfortable in prayer. That is one reason why home churches, cell groups, and small groups are important—the small size generally allows for most everyone to participate, with the group leader working hard make sure everyone grows in their walk with the Lord. 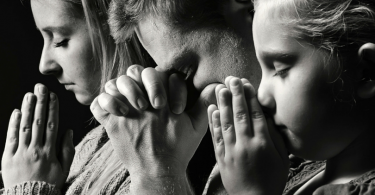 Parents are “small group leaders” too, and God expects them to teach their children to pray. Life can be tough, and we regularly seek help to make it easier. When we have car trouble, we go to an auto mechanic; if a pipe in the house springs a leak, we get help from a plumber; when we are sick, we get help from a doctor. God is a helper with most everything in life, including the car, house, and our health. If we faithfully pray, our lives will become easier—even if we don’t always see it—and we will be able to be more of a blessing to others—because prayer can and will change things. Hazel Felleman, The Best Loved Poems of the American People (Garden City Books, Garden City, NY, 1936), poem “Ostler Joe,” by George M. Sims. A “hostler” (sometimes colloquially, “’ostler”) was a person who worked with mules or horses for a living. In the poem, “’osses” is horses. The concept of us giving God permission to act on our behalf is large and philosophically complex. God can act on our behalf without our permission, but there are times He will not, and thus James makes it clear that our asking actually affects what happens between us and God in this life. As James says, many people don’t get things they would like to have in life because they do not ask God for them. O Lord, How Long Must I Wait?